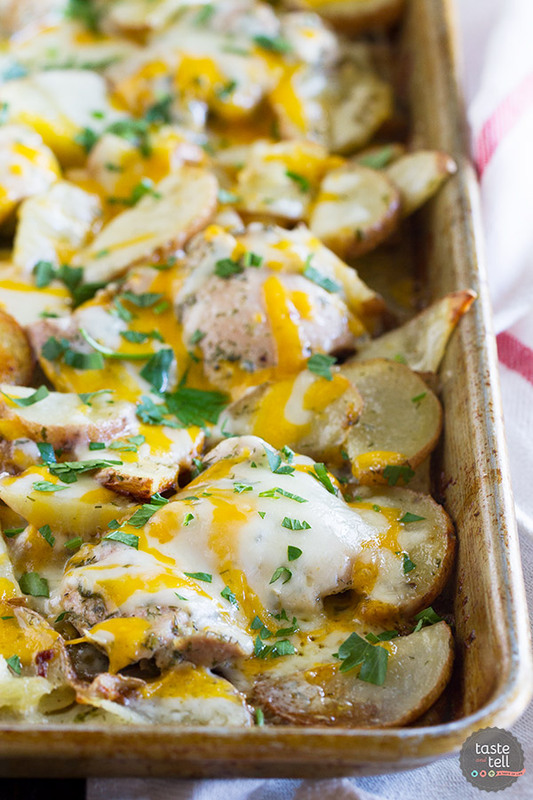 Ranch lovers will go crazy over this Cheesy Ranch Chicken with Potatoes. Hands on time is minimal, and the chicken packs a flavor punch! I have officially crossed the line into the busy mom life. Ok, I hate using the word busy, but I can’t think of another word to describe it. (And I apologize if I talk about this incessantly over the next few months until I find my groove. I’m just not used to the go-go-go!) But my life as a homebody is officially over. In the past, I would be at home at least 5 of the 7 days of the week. Now, I’m out of the house every day. Mostly running kids here and there, but I don’t think I’ve ever been in the car this often. But I’m still trying to retain some normalcy. And I have become more committed than ever to family dinner time. Because when life gets crazy, that 15 minutes around the table may be the only time you are together all day long. The problem, though, is that when you are running around all day, finding the time and the motivation to make dinner can be challenging. 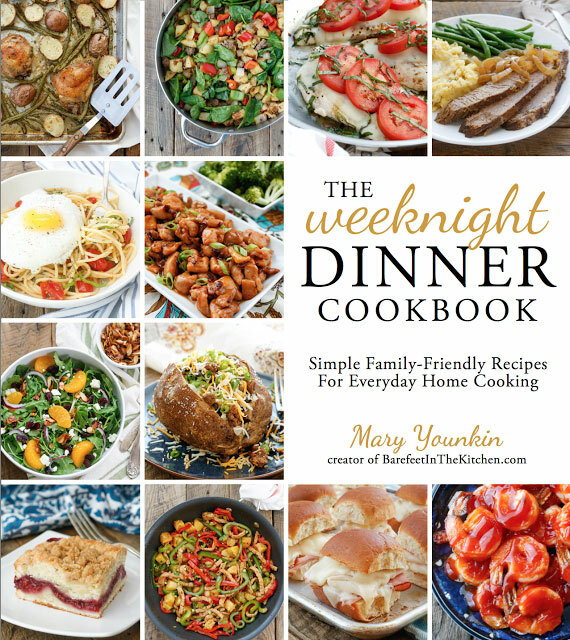 Which is one reason I am so excited about today’s cookbook review – The Weeknight Dinner Cookbook by Mary Younkin from Barefeet In The Kitchen. 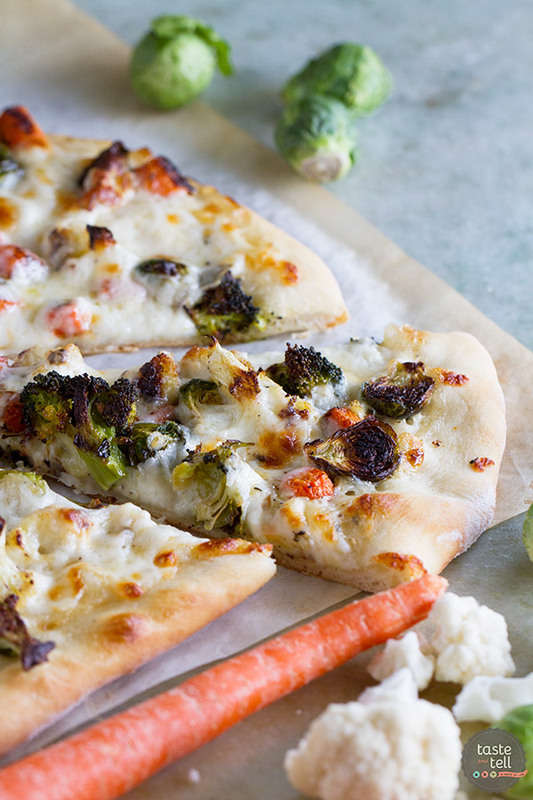 You guys – this is all you need for weeknight dinner planning. Number of Photos: lots. There is a photo of every finished dish. And they are beautiful! Difficulty Level of Recipes: easy. 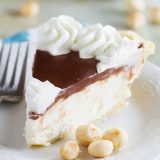 These recipes are made to be simple, and perfect for a weeknight! Availability of Ingredients: easy. 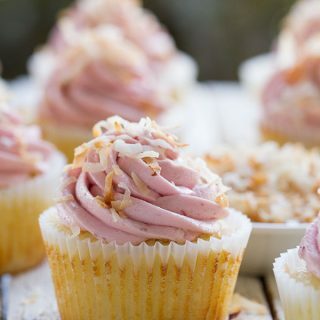 There aren’t any crazy ingredients – you should be able to find them at any grocery store. Buy The Weeknight Dinner Cookbook on Amazon. And now the Cheesy Ranch Chicken with Potatoes. 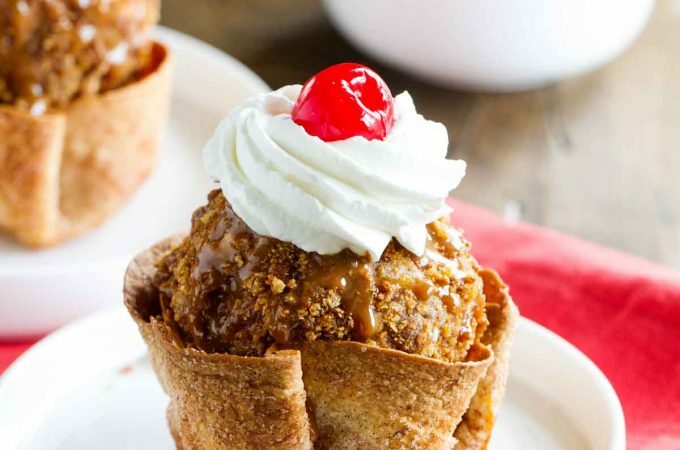 There’s really not much to say except for you should make this. 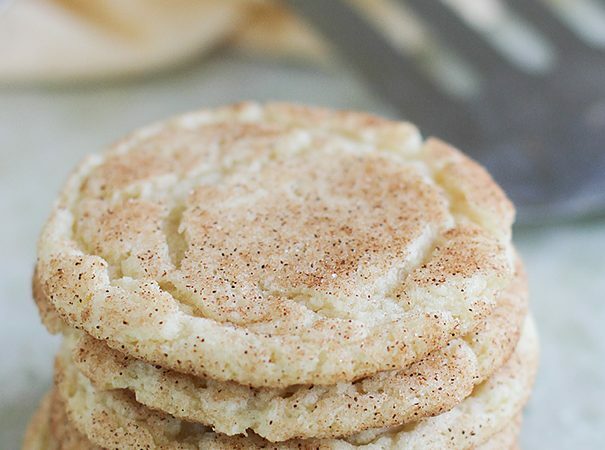 So easy, and so delicious! You do have to prepare ahead to make sure you marinate the chicken, but the hands on time is so minimal, and you end up with a meal that the whole family will devour. 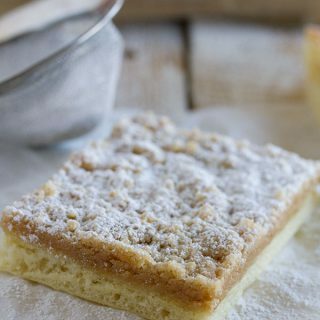 When I saw this recipe, I knew it would be a hit. You really can’t go wrong with ranch, potatoes, chicken and cheese!! You start by marinating the chicken in a homemade ranch seasoning mix. 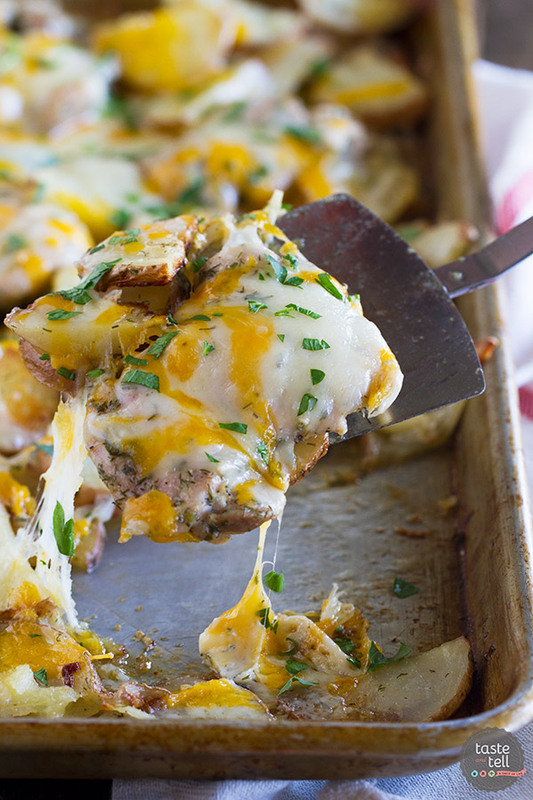 Then the chicken goes onto a sheet pan with potatoes, and when it’s all cooked, you smother it all in cheese. In the book, Mary serves it all up with a homemade ranch dressing, but I do have to admit that I was a bad planner and didn’t make the ranch ahead of time. So we just used bottled. But even though I didn’t try her recipe, I can guarantee it would be better than bottled! 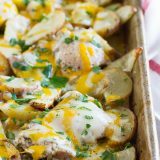 I know this Cheesy Ranch Chicken with Potatoes will be on repeat in our house! Combine all of the marinade ingredients in a gallon-size ziplock bag. Shake to blend. Add the chicken, turn to coat, place in the refrigerator and marinate for 6 to 12 hours, but no more than 24 hours. Preheat the oven to 400ºF. Place the chicken on a large rimmed baking sheet. Transfer the potatoes to the bag with the remaining marinade. Press the bag with your hands and coat the potatoes as thoroughly as possible. Transfer the potatoes to the tray with the chicken, squeezing out as much of the remaining marinade as possible. Use your hands to stir the pieces around a bit to make sure everything is coated thoroughly. Place the pan in the center of the oven and roast for approximately 20 minutes, until the chicken is cooke through. Remove from the oven, transfer the chicken to a separate dish and loosely tent with foil to keep warm. Roast the potatoes an additional 10 to 15 minutes. Remove from the oven, add the chicken back onto the tray and sprinkle the chicken and potatoes generously with the cheese. Roast an additional 3 to 4 minutes to melt completely. Sprinkle with the parsley. 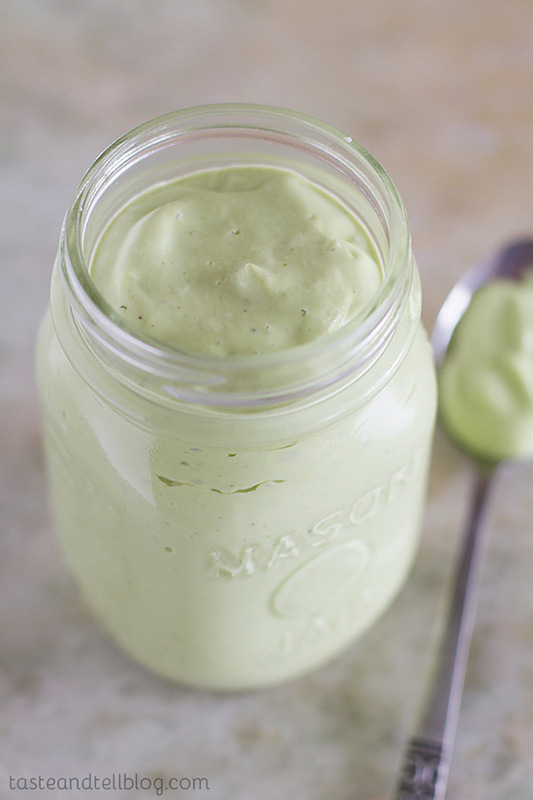 Serve with the ranch dressing for dipping. I never knew this was my dream until I saw it, but now I can’t get it out of my mind. 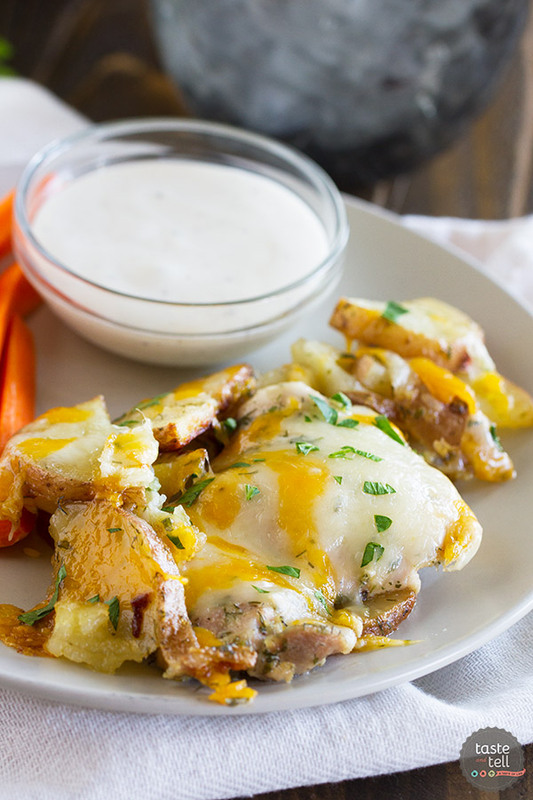 Ranch + chicken + potatoes…great. Cover it with cheeeeeese? Please. Oh, I am SO going to make this. 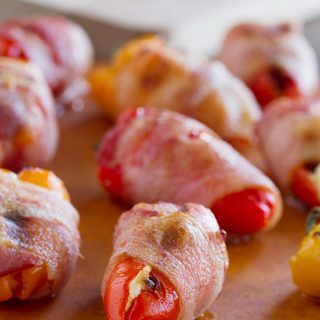 I need something to bring chicken to a level beyond boring! I am going to add this cookbook to my wish list too. It sounds like a keeper! Hope all is going well for E and the rest of the gang. Girl…I SO feel you. Between running to and from the school, errands, activities, my OWN work and friends…it’s nonstop. Family dinner is a MUST — it gives us all time to connect face to face. This looks SO incredible. I can’t believe I haven’t ordered Mary’s book yet – I’m popping over to Amazon to do that right now! I am right there with you on the whole new crazy full life that is a combination of sports and school activities this year! 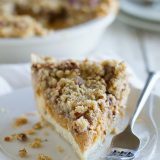 I’m thrilled the cookbook has been helpful and that you’re enjoying the recipes. 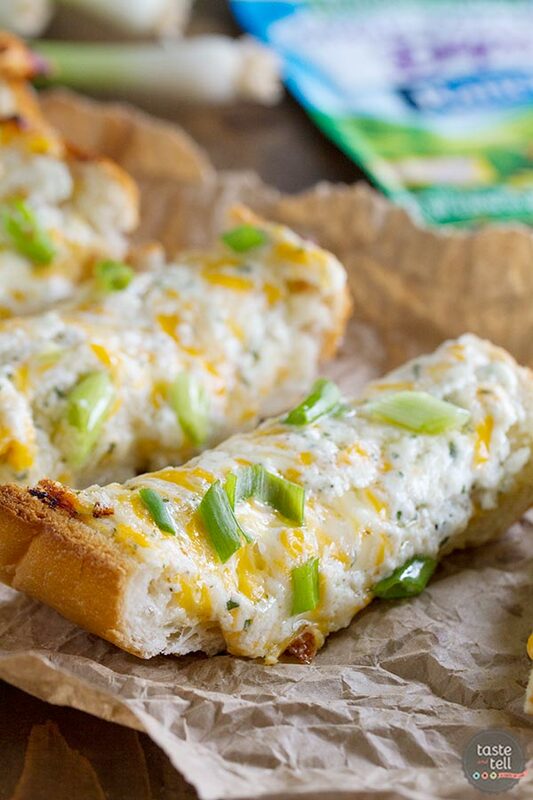 This cheesy chicken is already on our menu for next week. We love it! 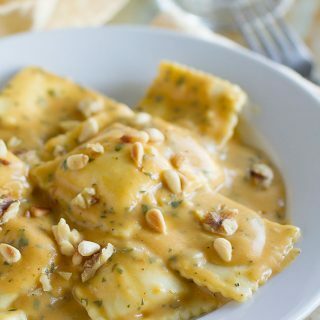 Deborah, I had to pop back and say that I did make this recipe and everyone loved it. So easy! I was a little dubious about the marinade – there just wasn’t that much of it – but in the end there was nothing to worry about. Oh, I did use chicken breasts instead of thighs. 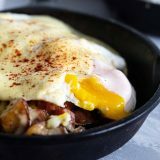 Thanks again for the winning recipe! Looks great how are you cutting the chicken if at all?